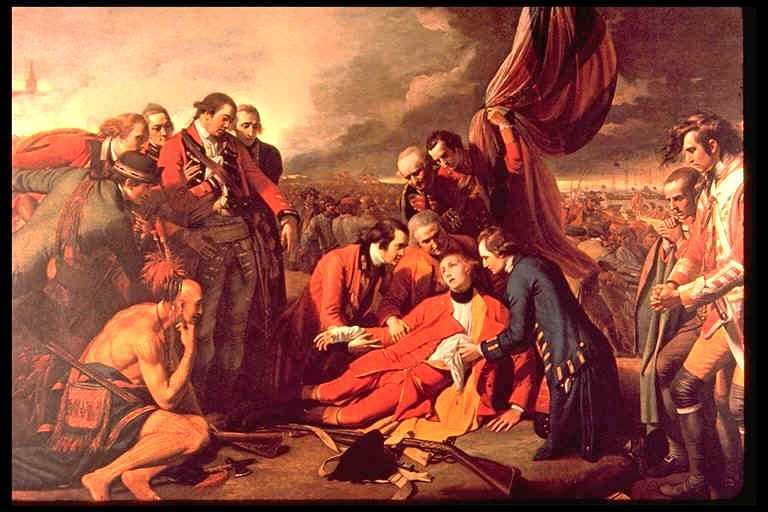 OTL Blog » Blog Archive » The Plains of Abraham: to re-enact or challenge the pro-war legacy? The Plains of Abraham: to re-enact or challenge the pro-war legacy? 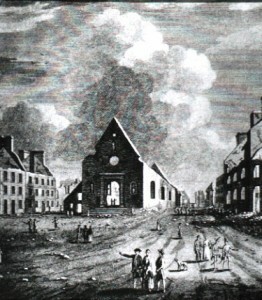 Historically-speaking, Quebec City has always been somewhat of a military town. When “founded” by Samuel de Champlain in 1608 on the remains of the First Nations settlement of Stadacona, Quebec was actually designed as a military-style fortification. The site of numerous wars and battles that pitted the French against various First Nations, and later Britain, the city has witnessed oppressive brutality over the years, culminating with its near-destruction and surrender to British imperialists in 1759. The infamous battle on the Plains of Abraham is drilled ad nauseum into the minds of students in Quebec and Canada, helping shape divisive nationalist discourses that pit French-speakers versus English-speakers, Quebec versus Canada, and sovereignty versus federalism. 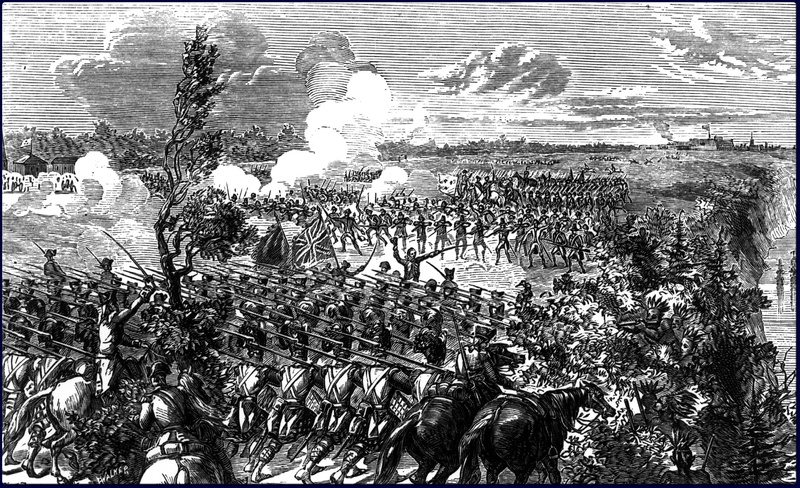 This being 2009, the 250th anniversary of the battle, a controversy is brewing about whether or not to commemorate the event by re-enacting the military conflict, as the National Battlefields Commission plans to do. While federal Heritage Minister Josée Verner will be in attendance, premier Jean Charest refuses to attend and Bernard Drainville of the Parti Québécois feels that the battle shouldn’t be celebrated at all. Many francophones, especially soverignists like Drainville, feel that re-enacting the colonial battle that signified their ancestors’ military defeat is highly insulting. This issue is playing out like a typical separatist versus federalist conflict: it is a French versus English debate with Quebec Premier Jean Charest sitting on the sidelines. Rarely mentioned in the “military re-enactment” discourse is it’s unabashedly Eurocentric and pro-war nature, leaving one to wonder if perhaps the entire debate needs to be reframed. Why celebrate the deaths of various soldiers and civilians from both sides of the conflict and the near-destruction of a city? The goal of this theatrical action was reappropriate the parade march and use it to oppose militarism and colonialism. Unlike most traditional military parades, the activist version did not favour one ethnic, national, or linguistic group over another, nor did it present war as natural or worthwhile of celebrating through re-enactment. By repositioning the re-enactment issue between pro-war and anti-war camps, a more harmonious consensus might be reached amongst Quebecers. 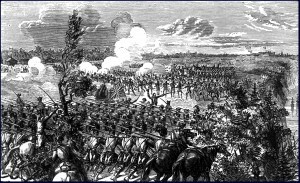 The upcoming plans to re-enact the battle on the Plains of Abraham smack of Eurocentricity, and the very idea of re-performing war as a commemoration or celebration needs to be re-evaluated in the present era. Why should taxpayers’ dollars be wasted on this type of brutal performance, when it mostly appeals only to history buffs and pro-war supporters? The present re-enactment plan, a four day spectacle of re-created death and destruction, will only exacerbate Eurocentric conflicts of language, history, and identity in present-day Quebec. It should be cancelled as soon as possible. Quebecers seeking social harmony and solidarity might find that developing an anti-war consensus against the Plains battle re-enactment could prove appealing, and be more in tune with Quebec values. This entry was posted on Wednesday, January 28th, 2009 at 8:00 am	and is filed under Community issues, General, Video. You can follow any responses to this entry through the RSS 2.0 feed. You can leave a response, or trackback from your own site.